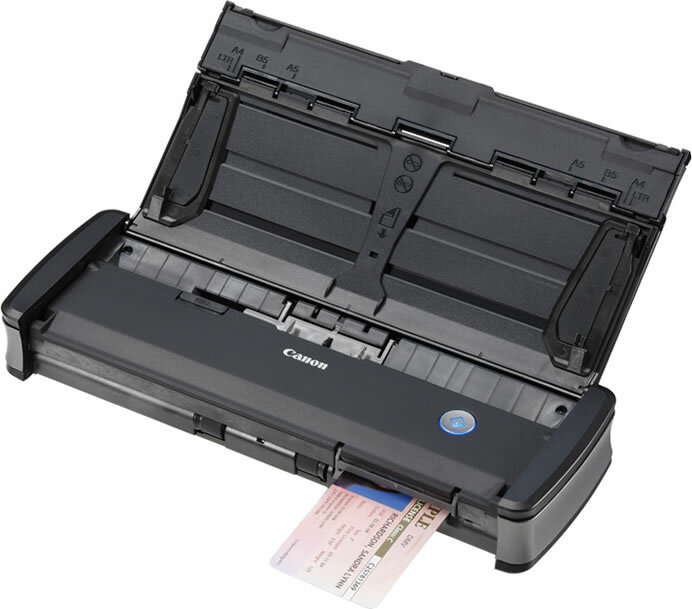 Canon imageFORMULA P-215II Scan-tini Mobile Document Scanner is a new solution for efficient and easy document scanning while in the office, on the road, or at home. Ideal for professionals who frequently need to scan documents at various locations, this sleek and powerful device is lightweight and conveniently fits on a desktop, in a travel bag or briefcase. The Canon P-215II Scan-tini delivers a robust lineup of intuitive features that can improve document image legibility while helping to streamline workflows. Compatible with both Windows and Mac environments, users can scan items quickly, virtually anywhere, without having to install software. Traveling professionals can efficiently scan documents while in their car, or easily manage receipts while in-transit. 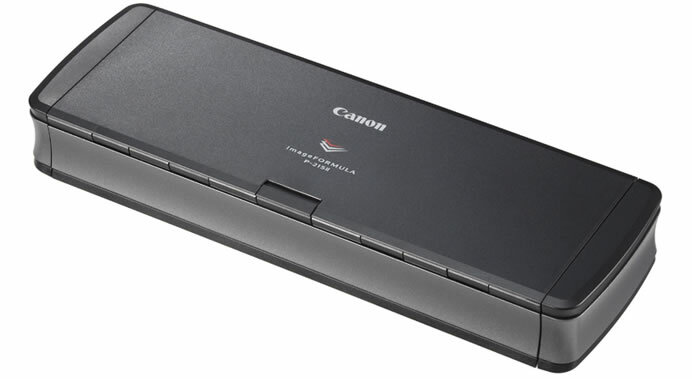 Canon imageFORMULA P-215II Scan-tini Mobile Document Scanner can optionally operate wirelessly and send files to select tablets, smartphones or mobile devices for easy transferring and sharing of scanned documents. The P-215II Scan-tini also features an automatic document feeder, and is capable of scanning both sides of an item at the same time for fast, efficient scanning. Despite its compact size, the P-215II scanner produces high-quality images and can improve the legibility of hard-to-scan documents, such as those with dark backgrounds. Users can trim, straighten, and remove shadows from scanned images so output is clear and easy-to-read. The P-215II scanner can also successfully scan mixed batches of documents and photographs by automatically adjusting the resolution to improve image quality, and is capable of scanning plastic or embossed cards. 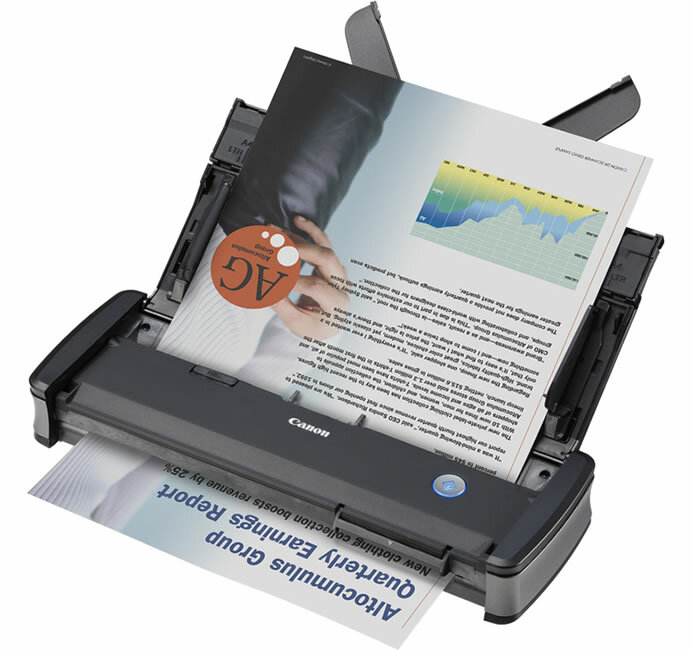 The imageFORMULA P-215II Scan-tini mobile document scanner is available now through Canon resellers and authorized dealers at a manufacturer’s suggested retail price of $299.